John Kaminski - Excellent Cultures Inc.
John Kaminski – John is passionate about guiding companies to the next level while emphasizing the importance of strong leadership and organizational culture. He is a coach and mentor working with business owners and C level executives across the nation. John is a world class executive and leadership coach who excels at identifying strategic differentiation and the most effective methodology and process for scalable results for companies in virtually any industry. His ability to determine the best way to lead, sell something, create the structure to manage, and teach others to follow the recipe for success has resulted in exponential leadership improvements and demonstrated huge sales growth for his clients. John began his career in sales with Xerox and eventually moved into medical sales before co-founding DocuMedX, a medical services business that contracted with large hospital groups and HMOs. In three years time, he guided DocuMedX to be the largest independent transcription service in the Northwest, twice recognized as one of the “Best Companies to Work for in Washington,” by Washington CEO magazine. John believes the success of DocuMedX was directly related to the philosophy that creating the company everyone wants to work for would create a company that everyone wants to do business with. After selling DocuMedX to a public company, John worked with several other startups in a variety of industries before pioneering a regional role with Vistage, the world’s largest CEO organization. Vistage increases the effectiveness and enhances the lives of business leaders by bringing small groups of noncompetitive business owners and CEOs together on a monthly basis to act as an advisory board to one another. Today John is a leadership coach who has mentored leaders in numerous firms including Schneider National Global Transportation, Delphi Steering, Integrated Medical Systems, MulvannyG2 and Bodypoint and has provided interim leadership for companies across all industries. In addition, he is a frequent speaker on the topics of sales strategy, leadership style, and organizational culture. John graduated from Whitman College in Washington State. 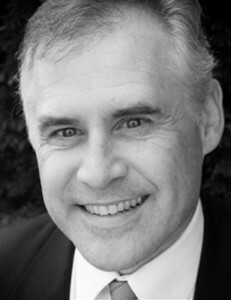 He is active in his community, currently serving as chair for Young Life, has served as a little league baseball coach and board president, and donates his skills as an auctioneer to several schools and non-profit organizations on Bainbridge Island, where he lives with his wife and two teenage boys.